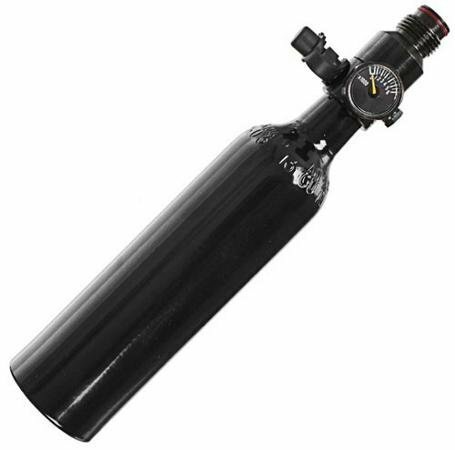 13ci 3000 psi aluminum compressed air tank with built in regulator. This is a must have upgrade since the air is regulated to a consistant pressure. Every shot is more accurate. The HPA regulator and tank system. High Pressure Air system that screws directly to your gun. It has a 3000psi aluminum cylinder with a pre-set output that gives you the lightness of a carbon fiber tank.